We are constantly innovating at the Waffle Factory! You can now explore all of our tasty recipes. Whether a sweet waffle or a lunchWAF, there’s something for everyone – it’s up to you whether you fancy something classic or more original! (Products may vary by season and outlet). 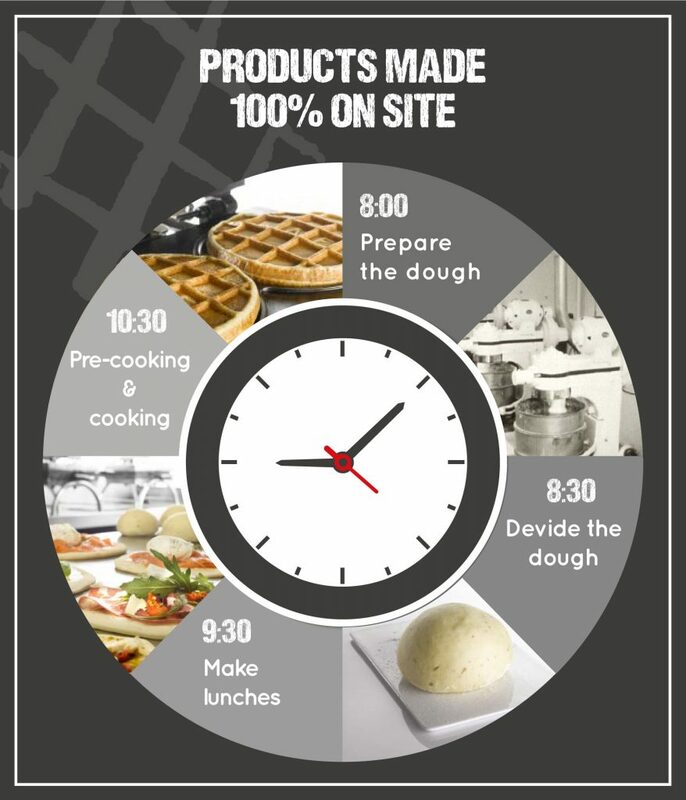 Waffle Factory products are made 100% on site and require daily work! Prepared every morning in a kneader which replicates a baker’s movements, the dough is always fresh and ready to be worked.